The Digium A-Series phone offers an end-to-end solution for your customers using the Asterisk open source software ( or an Asterisk distribution). Digium phones built exclusively for Asterisk by the creator, sponsor, and maintainer of the Asterisk project. Asterisk opensource and the Digium A-Series IP phones can create a customised communications solution for your customers who are on a budget. Basic features, such as call waiting, call transfer, and auto-answer, make for very affordable options to complete an Asterisk-based phone system. There a 4 units suitable for all levels in your customers organisation. 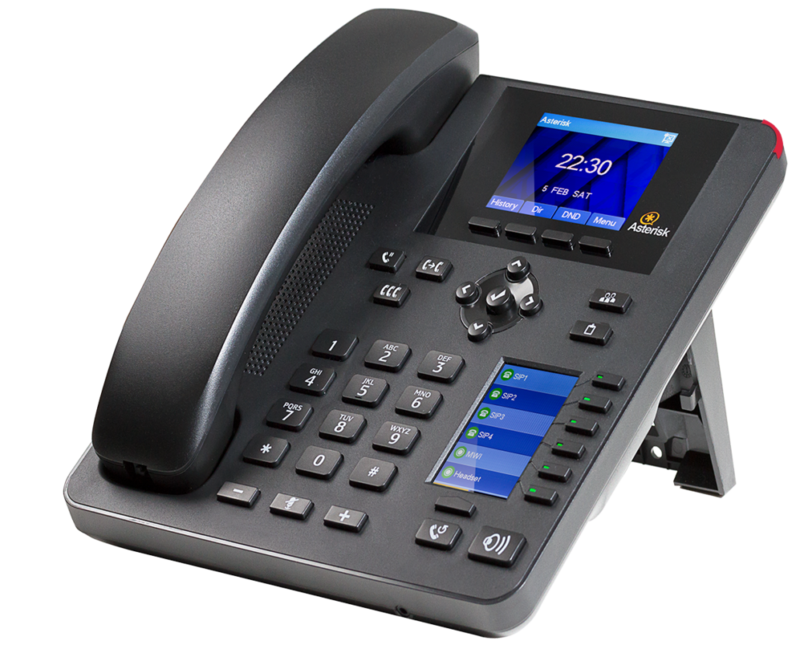 Digium will help keep phone system project expenses to a minimum with the A-Series IP phones for Asterisk. These phones are excellent for low-cost Asterisk deployments, as they are budget-friendly IP phones that provide the essential tools you’ll need to complete an Asterisk installation. The streamlined features include standard applications, such as auto-answer, call waiting, and paging, to help call users communicate effectively and easily. 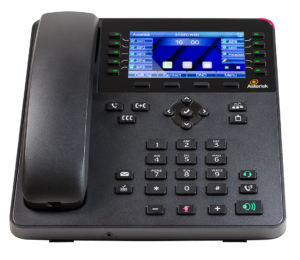 The A30 is targeted at an executive-level, the phone is gigabit with 6 line registrations, full-colour LCD display, a scroll key for accessing up to 45 contacts, and 2 switched 10/100/1000 Mbps Ethernet ports. This unit is perfect for your most demanding users who require gigabit networking. 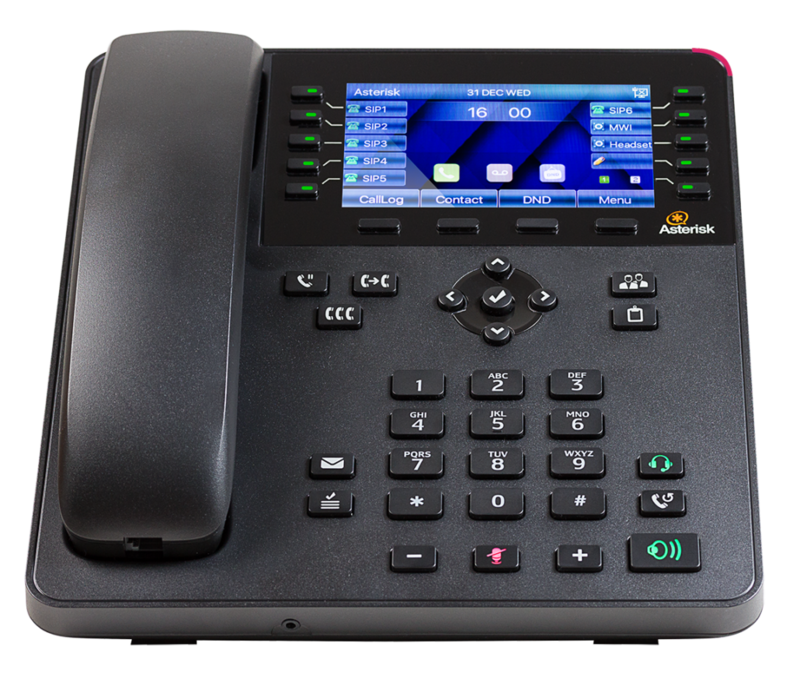 This phone is a mid-level gigabit phone with 4 line registrations, 2 full-colour LCD displays, a scroll key for accessing up to 30 contacts, and 2 switched 10/100/1000 Mbps Ethernet ports. This model is perfect for the average phone user who requires gigabit networking. This entry-level gigabit phone with 2 line registrations, a full-colour LCD display, and and 2 switched 10/100/1000 Mbps Ethernet ports. This model is Digium’s best value for organisations on a budget who require gigabit networking. Finally the A20 is an entry-level phone with 2 line registrations, a 2.8 inch full-colour LCD display, and 2 switched 10/100 Mbps Ethernet ports. The A20 is the the most cost-competitive product of the range for your customers.